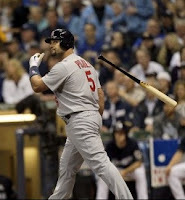 Albert Pujols announced he was taking the money ($254 million), departing the St. Louis Cardinals (after 11 years). 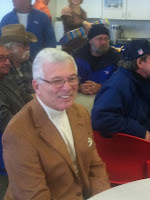 Bobby Donovan was recognized for 50 years work with Pepsi ... yes, all 50 years with the same company. I’m not writing now about the merits of “show me the money” attitude in baseball, other sports and big companies, rather I want to focus on loyalty and what has happened to it and why. The most recent survey by the Bureau of Labor Statistics pegs the average tenure of a salaried U.S. worker at 4.4 years. Another bureau survey shows that those born at the tail end of the baby boom changed jobs, on average, 11 times between the ages of 18 and 44.
Who taught them to be loyal to themselves rather than their employer? When folks in the X and Y generations were in their “formative years,” they watched as dad and/or mom (who had worked 25 or 30 years in the same job) were downsized, right-sized, re-engineered or just plain fired as they neared retirement. Think about that for a while ... we Boomers need to look in the mirror and realize that Xers and Ys learned many of their “bad” habits from us! Albert (Pujols) chose money over loyalty. He’s a Gen Y. Should we have expected anything less? Steve, I think you're dead on. Growing up I saw my mom work for the same school district for over 30 years and I aspired to do the same in my future career. But then I saw my dad get "let go" from a job he had worked at for over 20 years. Just the same, he was not considered for a promotion at his current job (that he's been at for 10 years) because of his somewhat near retirement age (mid-60s). I have been out of school for almost 5 years and have worked for 2 different companies. The first job I was laid off from after it downsized. I think Gen Yers want to be loyal to a company but they also want the same in return. They want to work for a company that fights for its employees, especially those that have stuck by for many years. But you don't see that very often. We see people being laid off in masses, being replaced by people who are younger and cheaper, or jobs being sent overseas. When we see companies only looking out for themselves, we as employees feel the need to do the same. Yes and I know other Gen X and Gen Y had the same experiences.